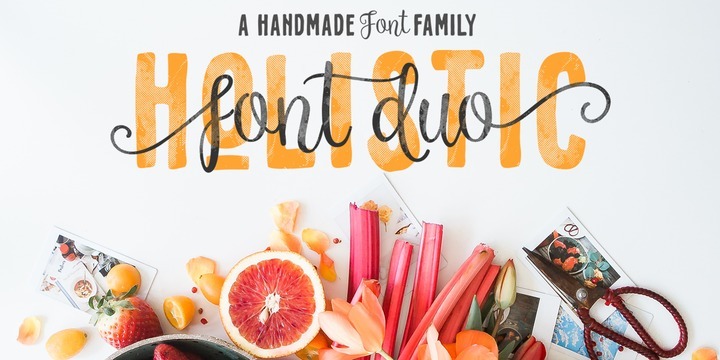 Holistic Duo is a modern calligraphic typeface createdc by Irma Asharini and published by Letrasupply Typefoundry which is available in two styles each with 3 looks. This handdrawn, cursive font is was designed to be suitable for magazine, text, romantic projects and so on. Enjoy! A font description published on Thursday, January 11th, 2018 in Fonts, Irma Asharini, Letrasupply Typefoundry by Alexandra that has 1,743 views.